Please help support the Millis Yearbook by purchasing a pair of flip flops. Let your toes do the talking! 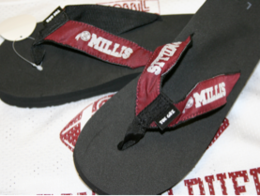 These Millis flip flops will have a black sole and maroon bands, labeled with the logo above and the word “Millis”. Toegoz flip-flop sandals are made with a high-density sole and cushioned arch support designed for unparalleled comfort and durability making them an ideal choice of footwear for everyday use. The sizes range from S(6-7), M(8-9), L(10-11), and XL(12-13). These comfortable flip flops are only $15 each. :) Great for all ages! 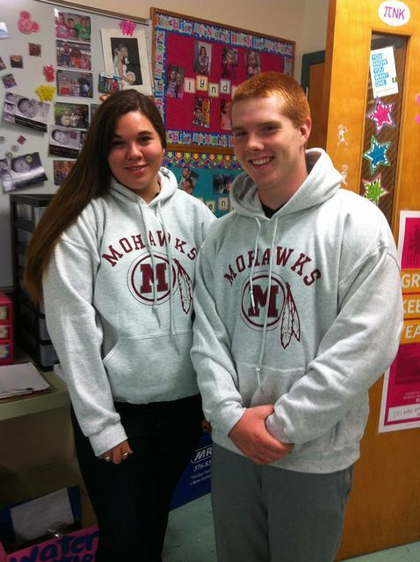 The Millis High School Yearbook is selling Mohawk Sweatshirts! The sizes range from S to XXL for $30 (bigger sizes will be $35). Smaller and larger sizes are available by request! BONUS -- With purchase, Millis flip flops are available at special 50% price of $7.50.